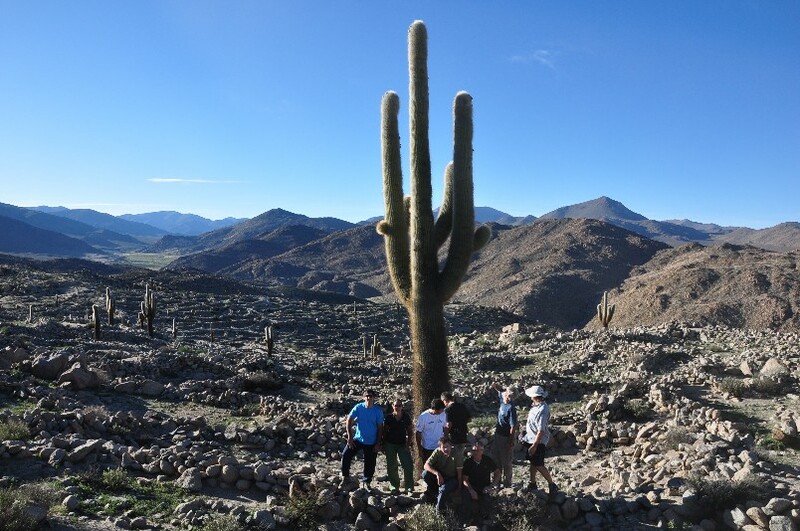 Discover the scenery of Salta. The province that calls itself “la linda” (the beautiful one). From its Yunga forests we climb up to “Abra del Acay” (4895 m above sea level), one of the highest mountain passes of the continent. We ride on our mountain bikes through ancient villages discovering Precolonial ruins. At the end we follow the famous “Tren de las nubes” (the cloud train ) and descend 150 km. Meeting with the group and guides, preparing the bikes, welcome dinner. In this section of our mountain biking trip we ride through a little town called Chicoanaentering the (gorge) Quebrada de Escoipe, where we can see the transition vegetation from the jungle to the arid desertic mountains, between yungas and cardones (cactus), highlighting the red mountains. Daily mountain biking ride: 78 km, more than half paved road with medium difficulty and slowly progressing. About 5hs ride. 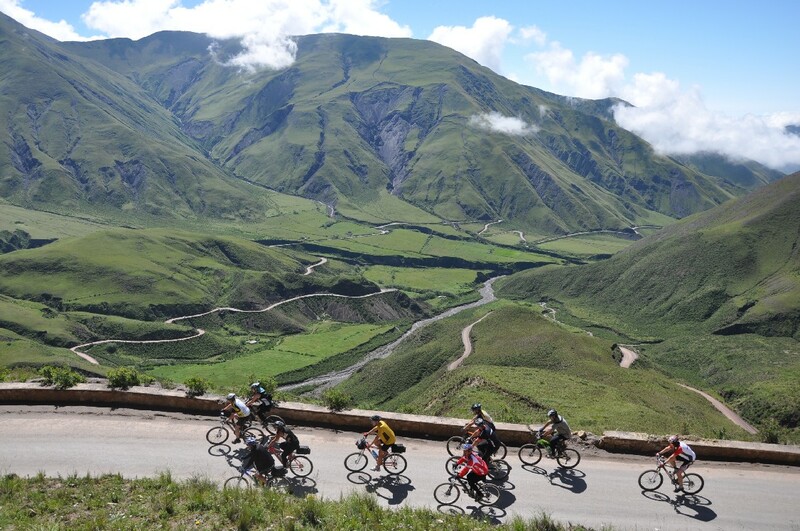 The first 20 km of biking we ascent to Piedra del Molino (3400m. above sea level), summit of Cuesta del Obispo. From here the landscape gets dry. 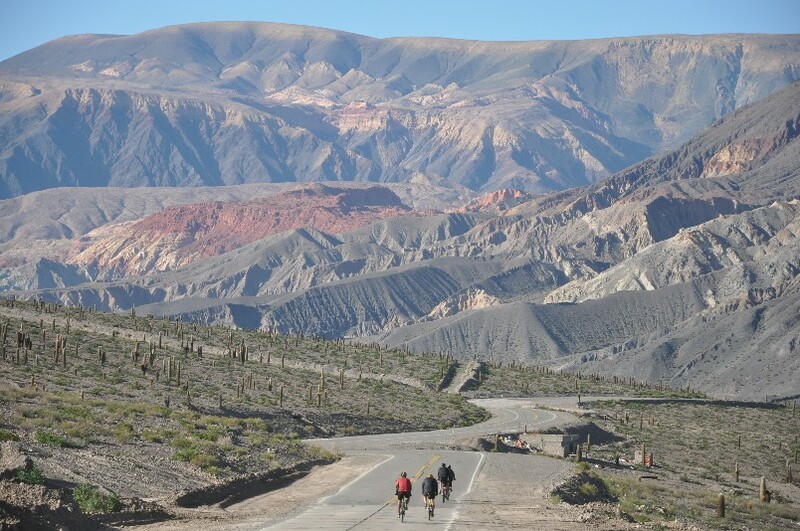 We descent over a great downhill ride to Cachi, passing along the curious “Tintin straight line” and the Los Cardones national park. The word cachi means “nice” in ancient indigenous language, a feeling you get while strolling around the town, passing along the colonial downtown area and enjoying this little “oasis”. We go for a mountain biking ride of 15 km, to visit the amazing little agricultural and handcraft fare village called Cachi Adentro. 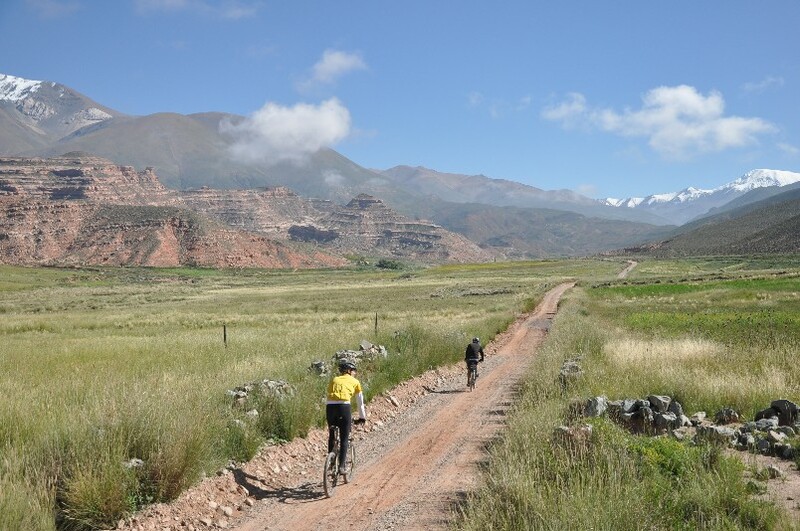 In this section of our Northwest Argentina mountain bike trip, we enjoy beautiful landscapes of the Cachaqui Valley, we bike along the river passing along narrow canyons. 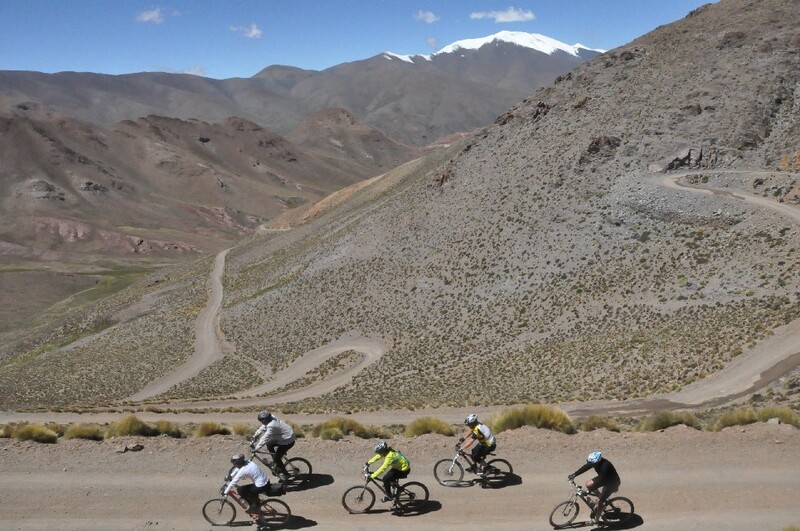 Variant: We bike to casa de Flavia (3940m above sea level),which is at km 32. we leave the mountain bikes at this point and return on the van to the 20 km to the (school) Escuela del Saladillo (3320m above sea level). This will be the toughest section of our mountain biking trip, we will bike slowly, letting our bodies get used to the heights and enjoying the unique landscape. We will have the opportunity to meet some local people of this off the beaten village. 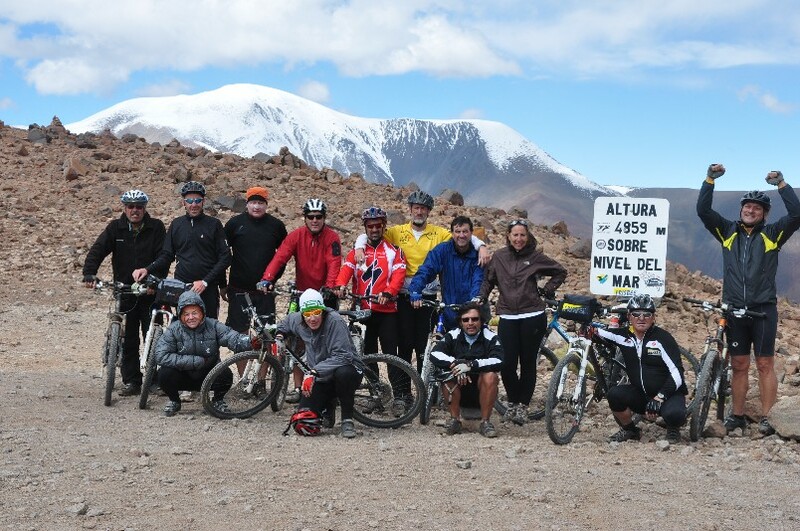 At the first part of this mountain biking trip we ascent with our bikes to Abra de Acay (4895 m) biking 14,5 km with 950 m level difference. At the second part of the biking trip we have a 45 km long downhill ride on a panoramic cliff road. 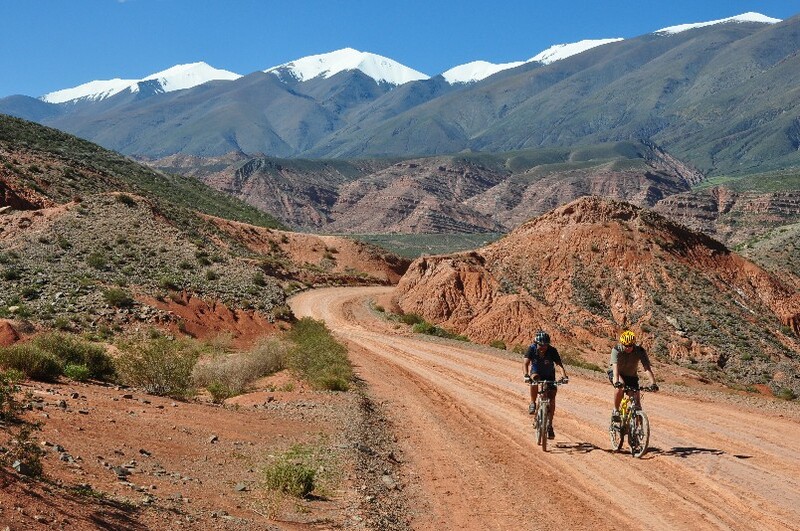 After a short uphill mountain ride to Abra Blanca, we have a very long downhill biking ridewith changing landscape which will offer us a surprise. In Santa Rosa de Tastil we visit the ruins of an ancient preecolombian city. Cuesta del Obispo (Obispo mountain road), National park "Los Cardones", Cachi, Calchaquí Valleys, San Antonio de los Cobres, Tastil, Quebrada del Toro, Salta. 475 Km (250 km on gravel road). The difficulty of this mountain biking trip is the fact that we bike at high altitude. With our experience from past editions of this mountain biking trip give us the chance to guarantee a soft pace on each lap of the trip, graded levels which helps for a fine acclimatization to heights, so that you will get an enjoying biking trip despite of the altitude and level differences, drops. Normally 70 km per day with frequent stops to rest and enjoy the view. We recommend that you be prepared for a daily 5 hour ride. minimum 8 people, maximum 15.
mechanical assistance and spare bike service.